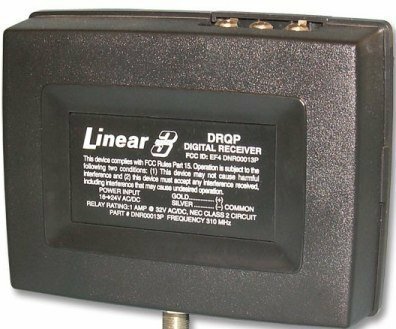 The Model DRQP 1-Channel Gate Receiver is a high-sensitivity, short-range radio receiver that operates in conjunction with the 9-inch local antenna (supplied). The DRQP is designed for use with automatic gate operators or systems where a remote antenna is needed. All of the Delta 3 remote transmitters are compatible with the DRQP receiver that uses 8 On/Off dip switches to set the code.